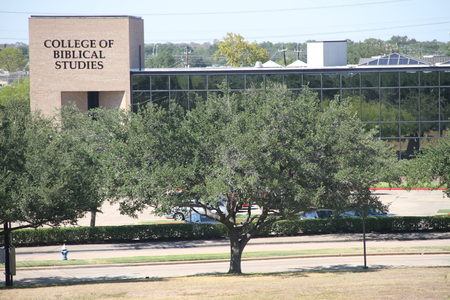 HOUSTON, April 10, 2019 /Christian Newswire/ -- The College of Biblical Studies in Houston, Texas has just announced the lease of 21,000 square feet in the Indy Pyramids at College Park, Indianapolis. This lease space will be the new Indianapolis location of Crossroads Bible College. Crossroads Bible College and the College of Biblical Studies signed an agreement in early 2018 to pursue a merger of the two schools. "For CBS-Houston, this merger will expand its reach through the addition of an Indianapolis campus, several regional locations, and online offerings. For Crossroads, this merger will protect its rich heritage while securing a promising future and greater opportunities for students – including regional accreditation," stated Dr. Bill Blocker, president of the College of Biblical Studies. In March, Crossroads sold its current property at 601 N. Shortridge to Indiana Black Expo. "One of the most important factors in this merger is providing the best educational experience we can for our students. In selling the current property and relocating to a more modern facility, we can give our students advantages that we are unable to offer at Shortridge," stated Dr. Charles Ware, president emeritus of Crossroads Bible College. The decision to lease space at this Indy landmark was based on student and staff needs, such as modern conveniences, 24/7 onsite security, fitness center, onsite café, and proximity to the bus line. Classes will continue to be held at the Shortridge location until June 14, and classes will begin at the new location on June 17. The merger is expected to be finalized by June 30 at which time Crossroads will officially become the College of Biblical Studies. The College of Biblical Studies-Houston Board of Trustees are pursuing the merger of Crossroads Bible College in Indianapolis, Indiana, subject to the approval of ABHE and SACSCOC accreditation agencies. Leveraging its academic rigor and biblical worldview training, CBS offers a nationally and regionally accredited college education on campus and online, with several programs offered in the Spanish language. Students receive transformational education and training for service to families, ministries, businesses, and communities around the world. CBS has provided biblically based education to more than 26,000 students since 1976, and is ranked as one of the lowest tuitions in Texas. For more information on the pursuit of merger, visit http://www.cbshouston.edu/merger.